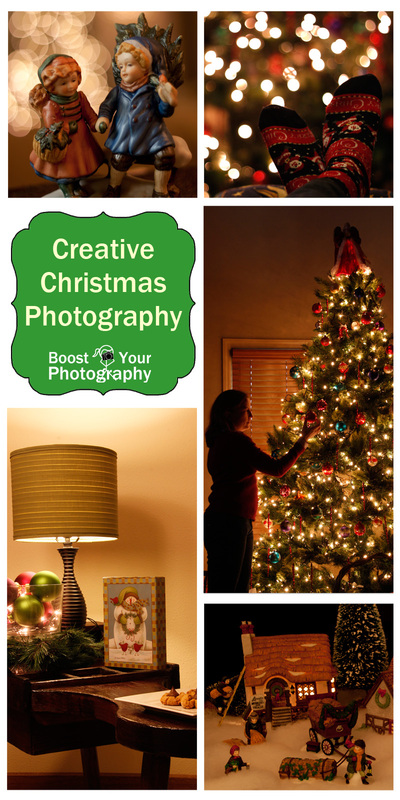 Christmas is a holiday of love and lights and provides many opportunities for interesting and creative photographs. 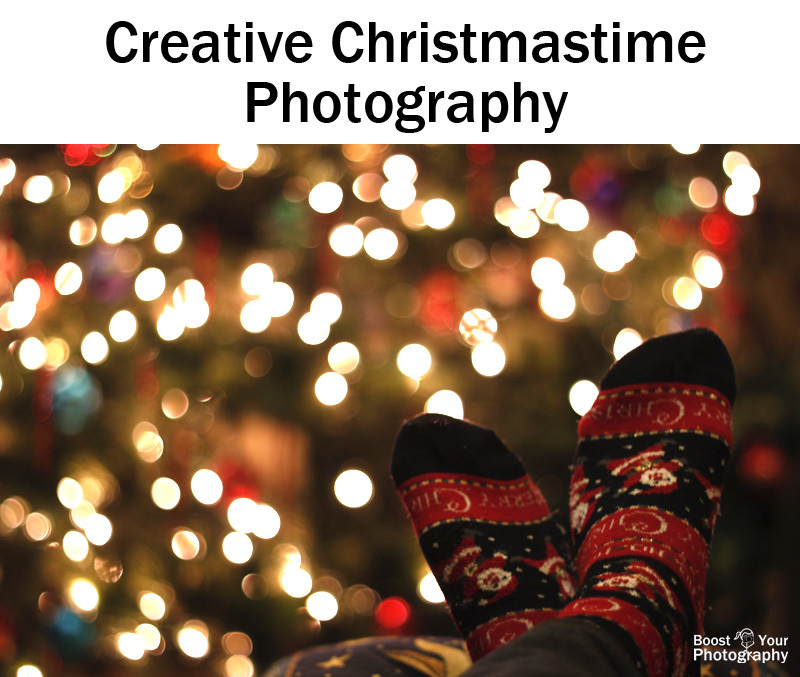 This post is meant to inspire your own Christmastime photographs with some ideas and examples of creative Christmas-themed images (and to give you some ideas of photographs you can take without bothering the rest of the family!). 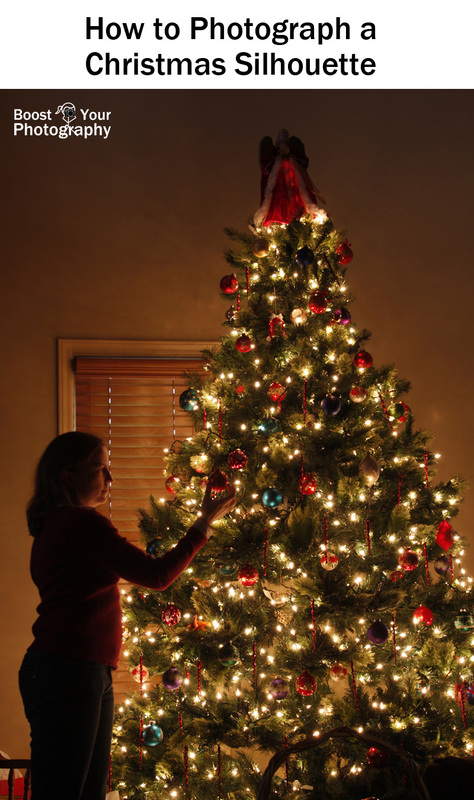 You can add an extra sparkle to your Christmas tree by turning the lights into starbursts. 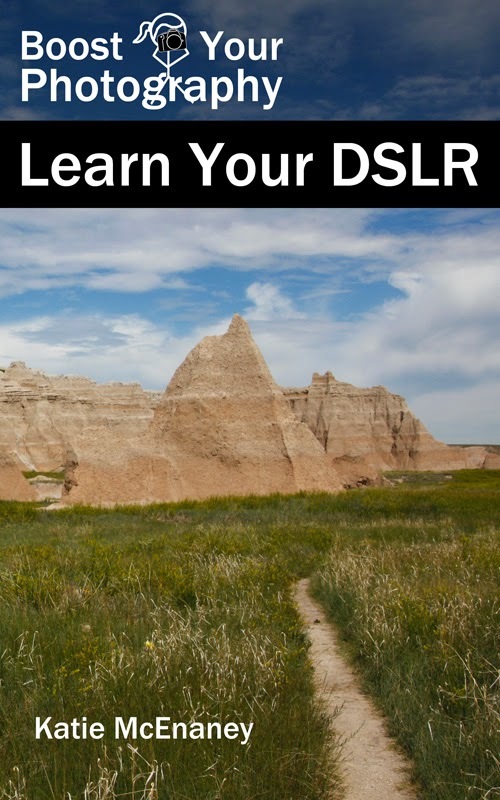 You will need a tripod to hold the camera steady, and a remote shutter release will help. Use a wide angle lens, such as 18 mm. In aperture priority mode, set an ISO of 100 and an aperture of f/22. This narrow aperture will cause each miniature light to be rendered as a starburst. Read more about starbursts in my guest post on Digital Photography School. Two earlier posts this month explored the idea of bokeh and how to use it creatively in photographs: All about Bokeh and Shaped Bokeh. Christmas trees and other strings of Christmas lights offer an easy bokeh-filled background. You will need a lens with a wide aperture (like f/1.8 or f/3.5) for best results. For more details, read the previous posts. In this photograph, the entire tree is used as a bokeh background for the statue. 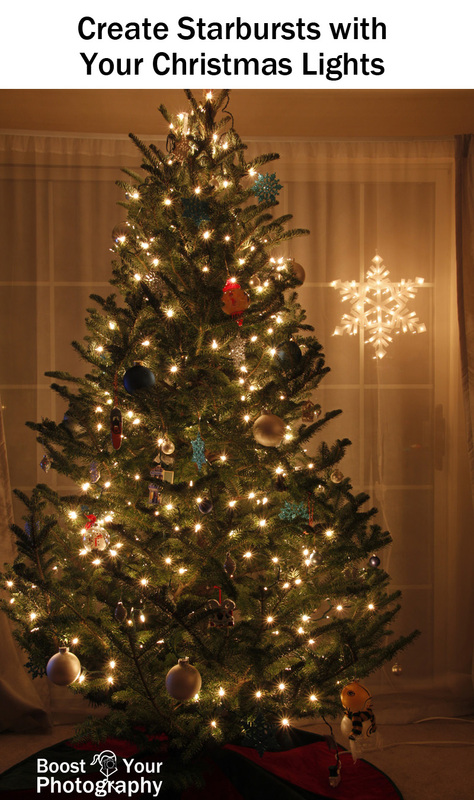 The implied shape of the tree is visible in the patterning of the bokeh and serves to form a connection between the two figures carrying home their Christmas tree and the real tree in the background. Using the entire tree as a bokeh shape can make an interesting backdrop for many kinds of shots. Outdoor holiday lights are another possible Christmas photography subject. Plan to photograph the lights on a clear night during the Blue Hour, which starts about 15-20 minutes after sunset. 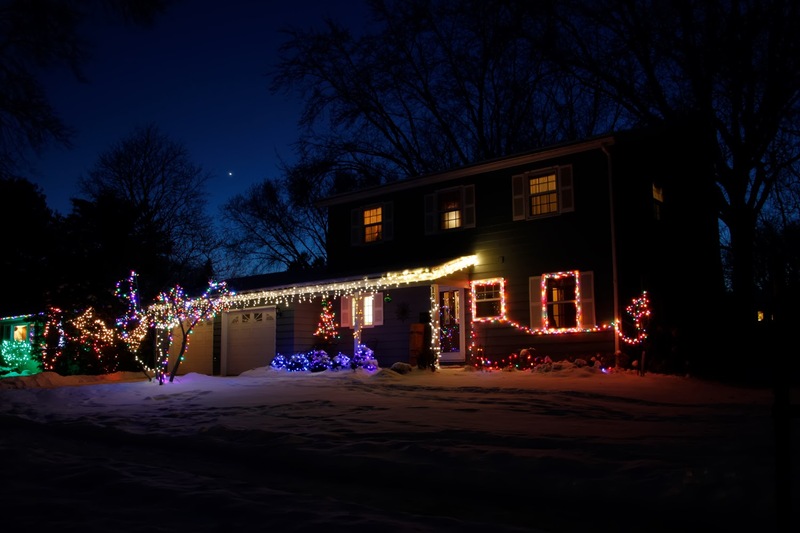 Read all of the details in the post on How to Photograph Outdoor Holiday Lights. 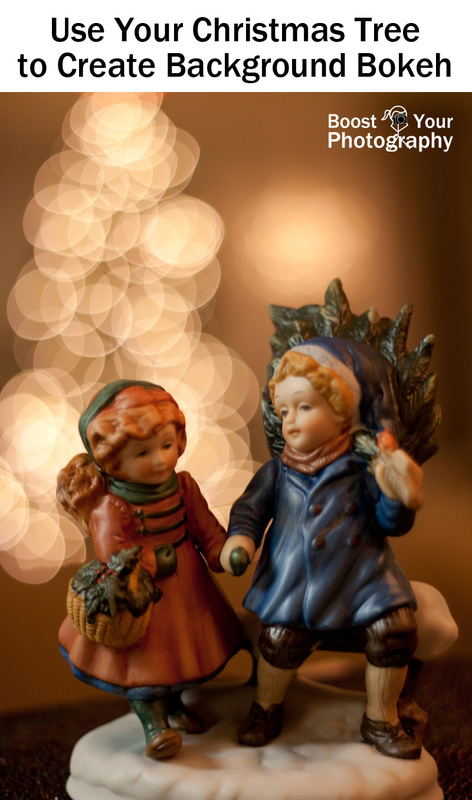 Christmas decorations and traditions make excellent subjects for a still life. 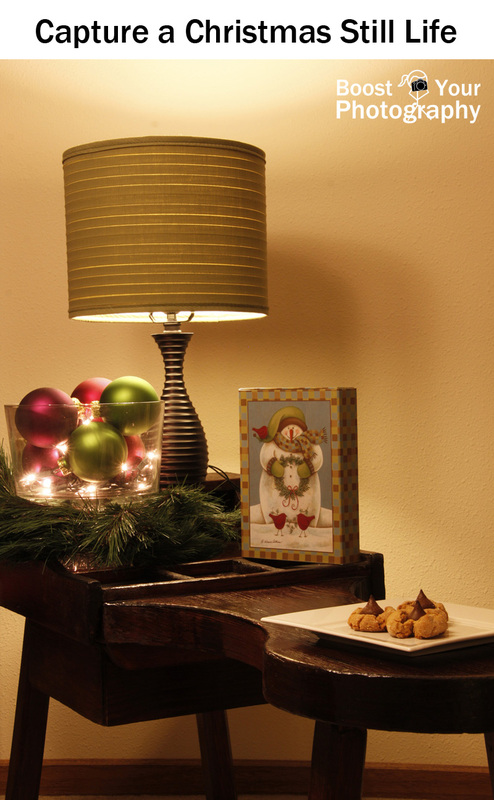 Here, the Christmas cards and Christmas cookies are complemented by a glowing arrangement of ornaments and lights. 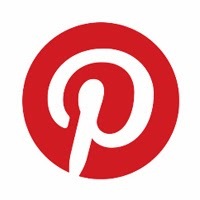 Think about featuring a memorable or significant decoration in its own photograph. 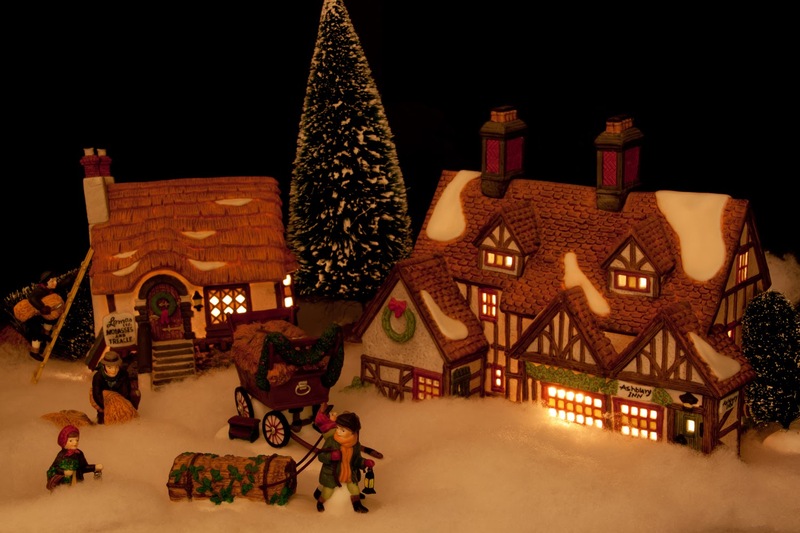 Below is a small vignette created with miniature Christmas houses and characters, made more special as this was taken the first Christmas after I received these from my grandmother. And of course, do not forget that Christmas is also a time to sit back, relax, and enjoy the holiday, surrounded by people you love. Wishing you and yours a very Merry Christmas!